Nowadays using wireless networks is becoming a bit common for accessing internet or sharing files over local area network. But there may be more than one wireless networks nearby, these are automatically detected by windows as soon as Wi-Fi receiver of your system is switched on. Windows detects almost all networks except the hidden ones but does not provide much information on them. 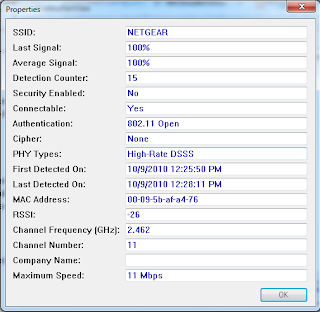 WirelessNetView is a handy free utility that can be used for this purpose.WirelessNetView is a windows freeware portable application that can scan and detect broadcasting wireless networks present around you. After scanning the networks it presents them in a list. 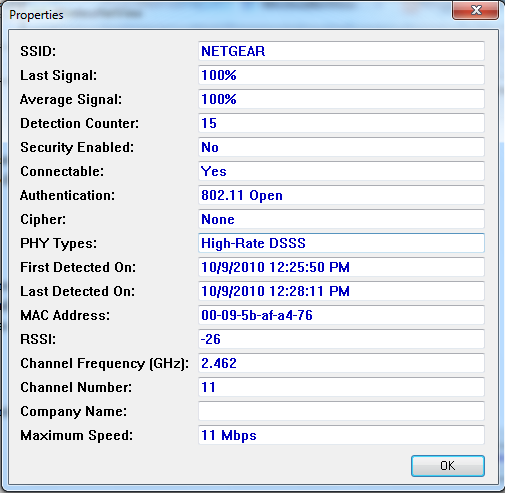 Double clicking on any of the network will bring up a separate window showing all the details like average signal strength, last signal strength, SSID, MAC address, security, whether it is connectible or not etc. It will help you to determine and analyze the best network you can connect to. As it is a portable application it can also be stored on USB storage devices for quick reference.